Hearn now upping the ante after previously low-balling Whyte. Hearn claiming it is close to done. “It is close, Whyte and AJ is close“ claims Hearn. 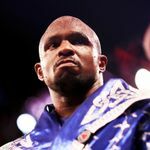 "There is a chance if we don’t go April 13 with AJ-Whyte, we can still do that in May or June in England"
“The Jarrell Miller fight is an option for June. It’s just a case of weighing up if it’s the right time for AJ to come and make his debut in America". I thought this was already done.. I'm sure it was announced.. TBH while I'm not disputing that Whyte has put himself in the conversation for a shot, I couldn't care less about either fight. The big 3 are so far ahead, that it's hard to get excited about the lesser fights, even if the division is actually in a good place. It really has become all about Joshua, Fury and Wilder, and the public response and willingness to pay for Joshua's next fight will be interesting. But Hearn is no longer pulling the strings in the heavyweight division. Fury-Wilder saw to that. The top guys are getting smarter. Hearn has hoodwinked them into accepting unders for as long as he could. But it takes two to make a fight and the others have finally woken up that Hearn needs them. This situation is genuinely amusing me. Hearn has brought it all on himself. Whyte should’ve backed himself to beat Pulev & then if he’d won he’d have a guaranteed split with no options. “If they were serious, they should have started negotiating sooner and with more realistic terms. The way he is going about business, Joshua won’t be fighting me, Wilder, or Fury any time soon". “We could have made this fight if Joshua really wanted it but it has been clear to me all along that they’ve been focused on making the Jarrell Miller fight in New York City." “He wants to go to America and fight Miller. That is easy money. One hundred per cent this was their plan the whole time." Their plan is to maximise profits. Nothing more, nothing less. Dillian missed out because he got underbid. There will always be some schmuck willing to accept less. But the top guys are no longer willing to accept unders. Hence Eddie dilema. Whyte claims if he fought and beat Joshua the contract would have ensured Joshua got the major share of the re-match money. Joshua and Hearn are absolute hypocrites. Whyte is tipping the can on Joshua and Hearn on a daily basis now. Spilling his guts on everything he knows. They have created a monster. Yet they still promote him. Surely there'll come a time when Hearn threatens to cut Whyte lose if he carries on? He'll do a cost analysis first. Will never happen John, Hearn has ZERO morals at all, he'll never cut a PPV fighter. He's putting up nearly $1million purse bids for that scumbag Galahad. Hearn was even wiling to take Eubank Jnr back after being shafted, scheduled to fight on the Parker Whyte undercard. “What I’ve learned about AJ is he’s greedy when it comes to money,” Miller said. if whyte can get similar money from fighting wilder its a no brainer as hes got a better chance of winning that i reckon.